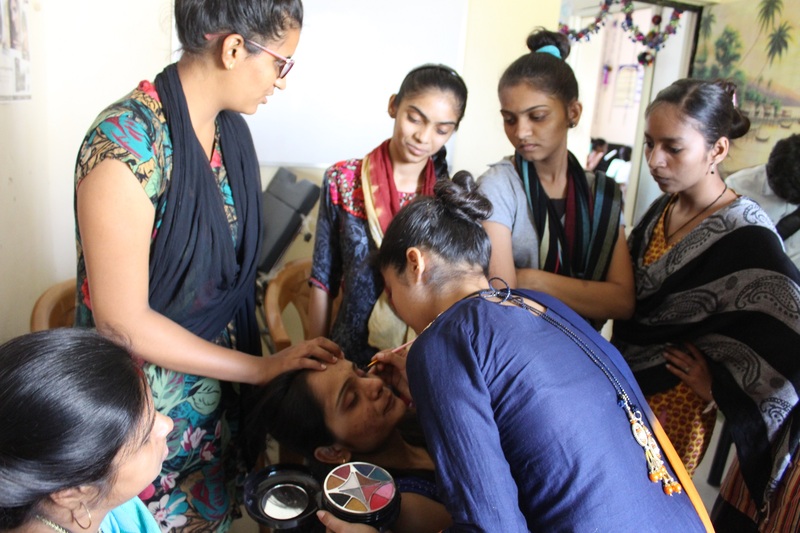 Saath provides a training program for women in the beauty and wellness sector, largely focusing on life skills to make women with limited education more independent and occupation oriented. Women belonging to vulnerable communities, especially living in slums, migrants, having low education, many times have limited exposure to outside environment vis-à-vis occupation. They are usually engaged in household and childrearing responsibilities. They tend to lack self-confidence which is reflected in their day-to-day interaction with external world, especially when they have to express their opinion or open up about their experiences. Saath collaborated with Godrej salon-i in 2013 to empower women in beauty and wellness skills that was aimed at giving them an opportunity for personal development and earning options. Women falling in the age bracket of 18-35 years are imparted training of four months. This course has been designed as per the needs of the service sector companies and imparted in a way that they are ready to face formal job market confidently. Apart from practical and theoretical knowledge, method of impartation includes life skill sessions on a daily basis which makes an important component for their personal development in communication, confidence, self-awareness, gender equality and rights, and workplace readiness to name a few. The course opened up new avenues for aspiring young women, who with a little push can now earn their own living and more importantly support their families economically. It prepares women for work in salons or to set up their own micro-enterprises. Saath has been appointed as a nodal agency for the state of Gujarat to impart training, which is being implemented with 14 other organizations and 50 centres across Ahmedabad, Surat, Vadodara, Gandhinagar, Bhuj, Nadiad, and Kalyan (in Maharashtra). Beautypreneur component of the program supports existing small parlour owners expand their enterprises. 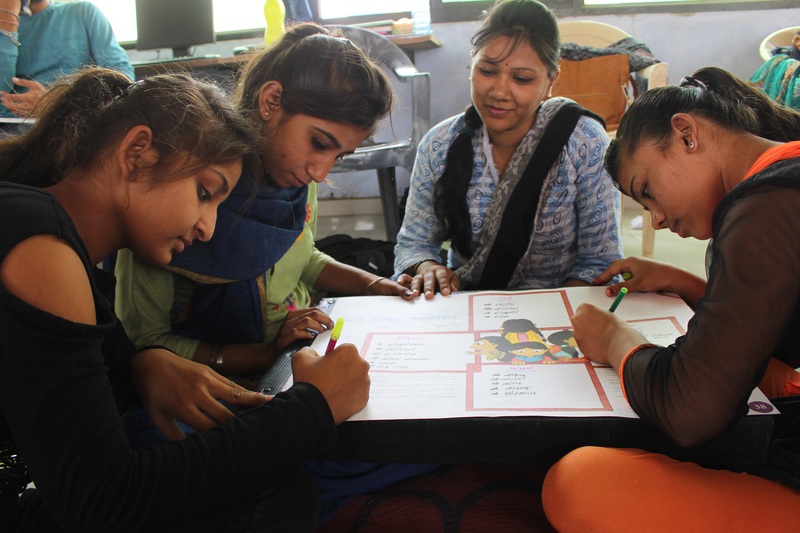 Saath has trained 5,875 women and of which 3,808 have been successfully placed. 62 beautypreneurs were identified and given training of entrepreneurship. Parents are the path creators for one’s journey of life. If you lose them, you lose the mould that shapes your identity. Who would know this better than Krishna Patel. Her mother committed suicide when Krishna was 2 years old and her father died in an accident when she was 5. She lived with her aunt for 15 years and got married in the year 2012. But life never has it easy for path seekers. After 6-7 months of her married life, her husband and in-laws started torturing her mentally. With an already disturbed past and a miserable present, she fell into depression. Her husband did not let her talk to anybody, including her sole companion, her grandmother. 4 years after the marriage, the situation was intolerable. Rebelling to this inhumane treatment, she decided to take divorce from her husband. She had lost her identity of who she was as a person. “I had lost all my hope when I came back home”, she reminisces. During her training, she enjoyed all the activities like client consultation, market surveys, etc. From finding pedicure and waxing to be the easiest and facial to be the toughest, she turned from a person into an individual. 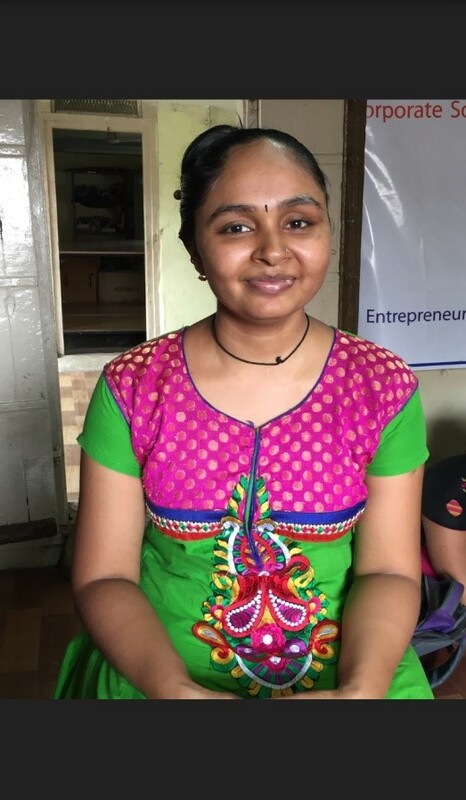 Now, Krishna is earning by opening her own parlour in her home. She earns around Rs.4000-5000/- per month. Once her daughter will be 5 years old, and not require constant care, she will start finding a job as a beautician and will continue her own parlour too. In this new phase of life she continues to live with her uncle, grandmother and daughter.